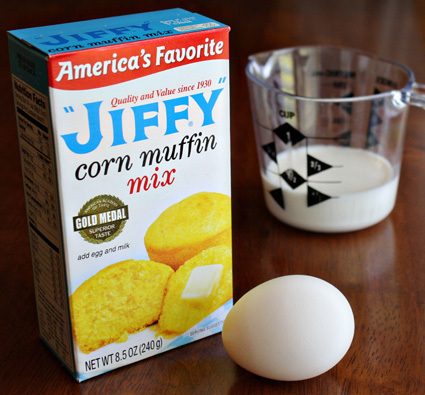 Hubby and I love corn muffins made with "JIFFY" Corn Muffin Mix and you can't beat the price...just a quarter a box around here. Here's a fun freebie...JIFFY Mix offers a free recipe book by mail. Just fill out the online form. The recipe book has been recently updated to include new recipes for JIFFY'S newest mixes - "JIFFY" Chocolate Chip Cookie Mix, "JIFFY" Oatmeal Cookie Mix and "JIFFY" Sugar Cookie Mix. It's also available online. Check it out!